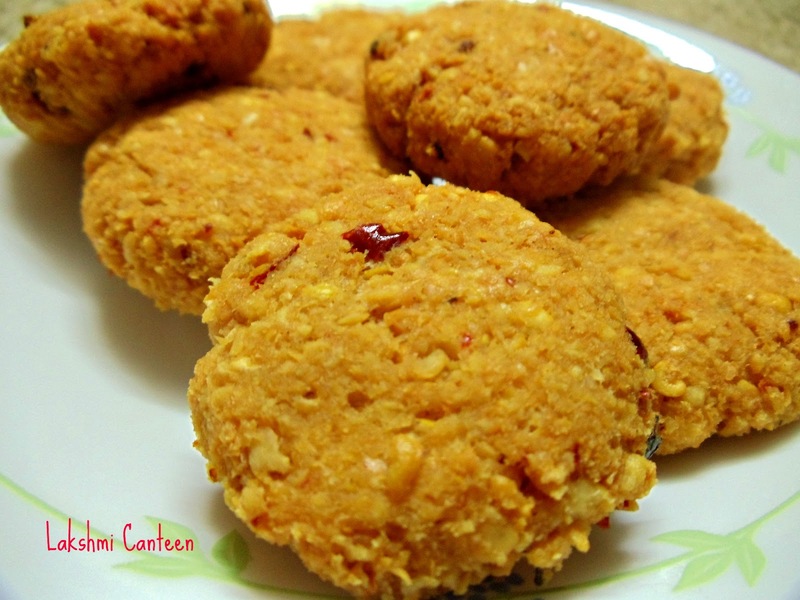 Sanjeera is a sweet flat bread which has a stuffing of rava kesari. 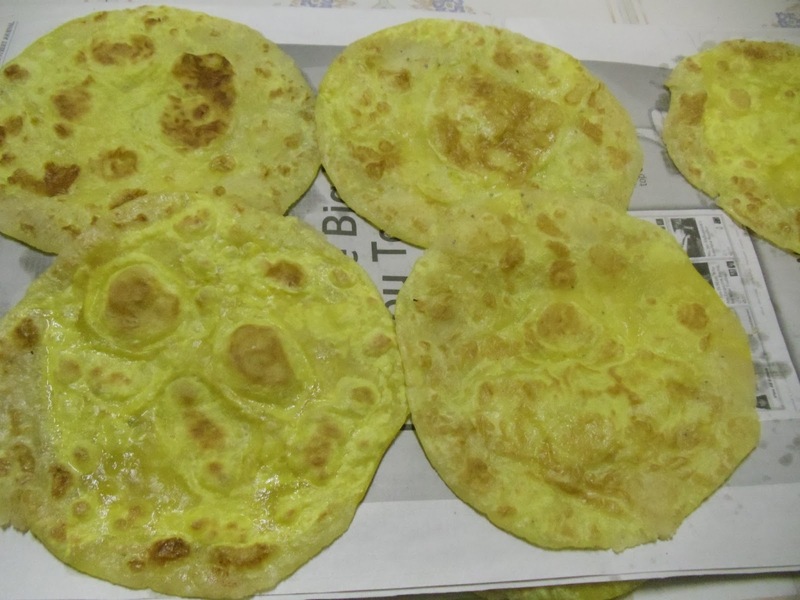 Sanjeera is very similar to Puranpoli. I got this recipe from a cook book written by Jaya V Shenoy. I have made slight variations. 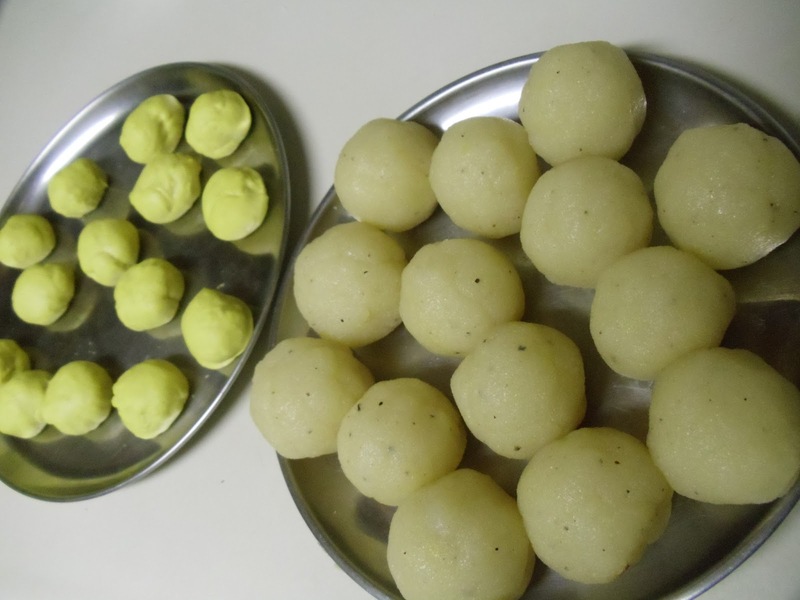 Making this sweet is little time consuming and requires lot of patience. Hence I have given in detail with pictures, so that it helps the beginners. This is my first try and it tasted good. We all loved it. Sanjeera characterizes sweet inside a cover. As you eat, you enjoy the stuffed sweetness till the end. May the year 2012 uncover sweet times for all of you! Very Happy New Year! Take rava in a pan. 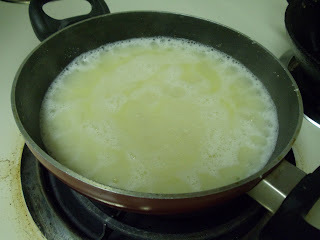 Add ghee and start frying it on a medium flame, until a nice aroma is got. Now add piping hot water to the fried rava and mix well. Also add saffron strands dissolved in warm milk. Once the water gets evaporated, add sugar and mix well. Once everything comes together, turn off the heat and add cardamom powder. Mix well. Allow it to cool completely. Stuffing is ready. Take the dough and knead it few times. 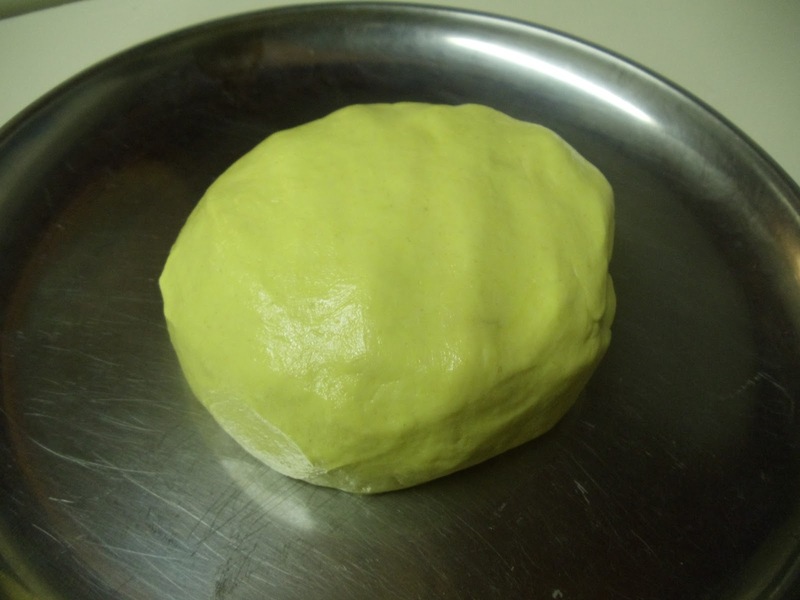 Divide the dough into 14 equal parts. Now make 14 equal sized balls of the stuffing as well. So now, we are ready to make the sweet stuffed bread. Now take one portion of the dough and start rolling it by dipping in all purpose flour. 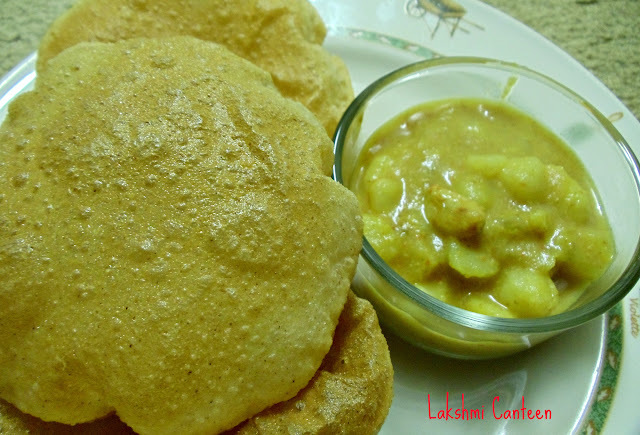 Let the size of the poori be 5-6cm in diameter. 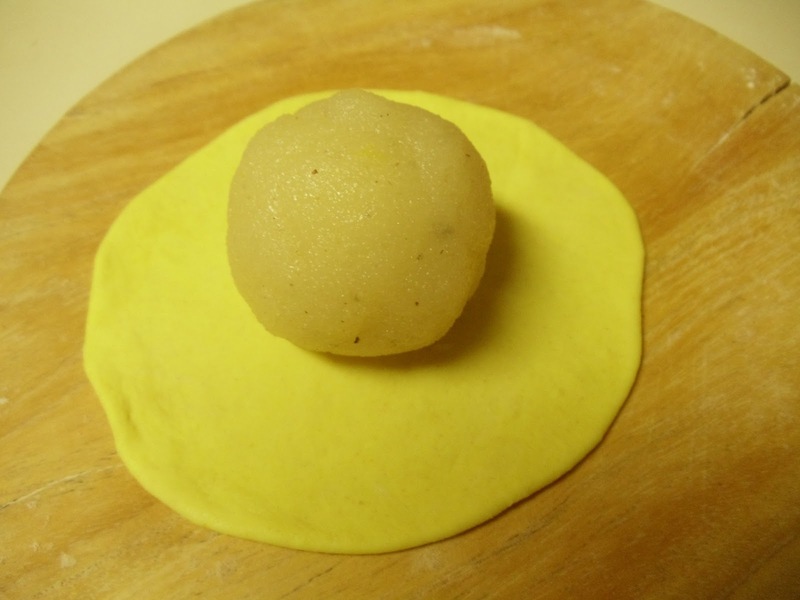 Now place a ball of the stuffing , at the center of the poori. Start rolling it carefully (with the sealed edge facing you,till it is done). Use flour as required, for dusting. The final size of the rolled bread is of the approximate size 15-16cm, in diameter. Fry this bread on a tawa, on a medium-high flame, as soon as it is done (If you want to make many before frying, then close the rolled bread with a damp cloth, so that it doesn't get dried). 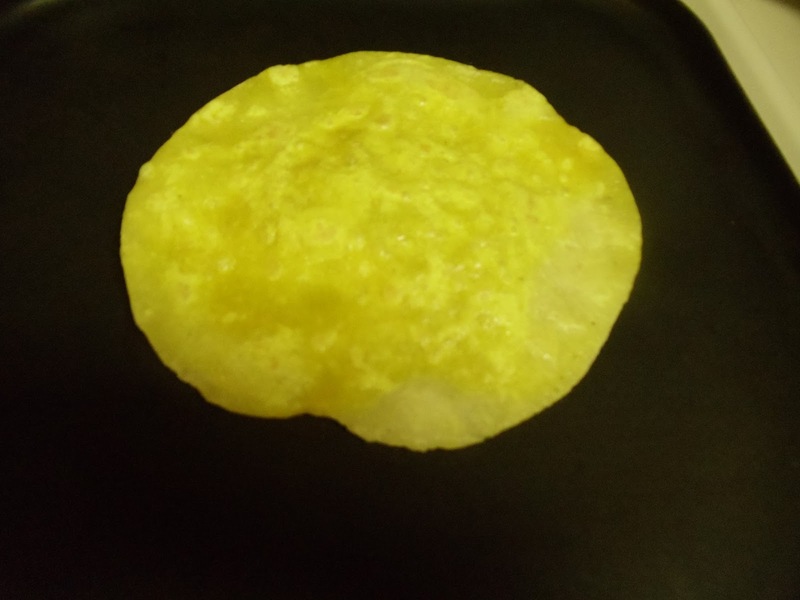 Fry on both sides, until you get brown spots (I usually spread hot Sanjeera on a news paper/paper towel/cloth. This prevents it from turning soggy because of the steam, when piled up). 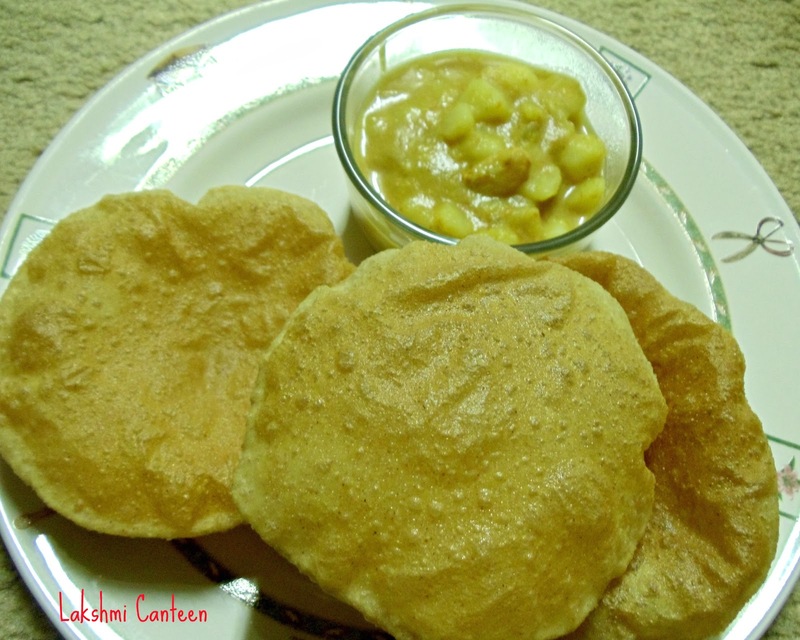 Serve it hot with generous amount of ghee. Above measurement makes 14 big sized Sanjeeras. 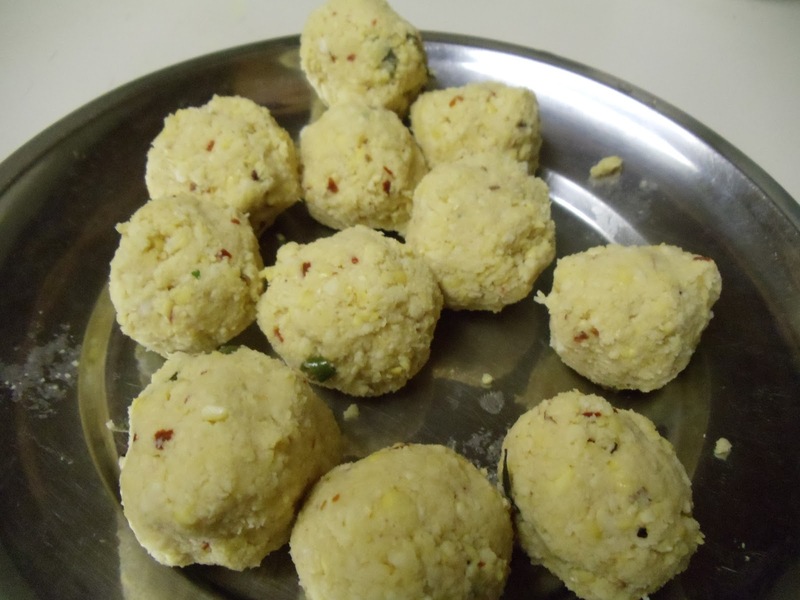 Chattambade is a very popular snack in coastal region of Karnataka. It is very crispy as well as tasty. 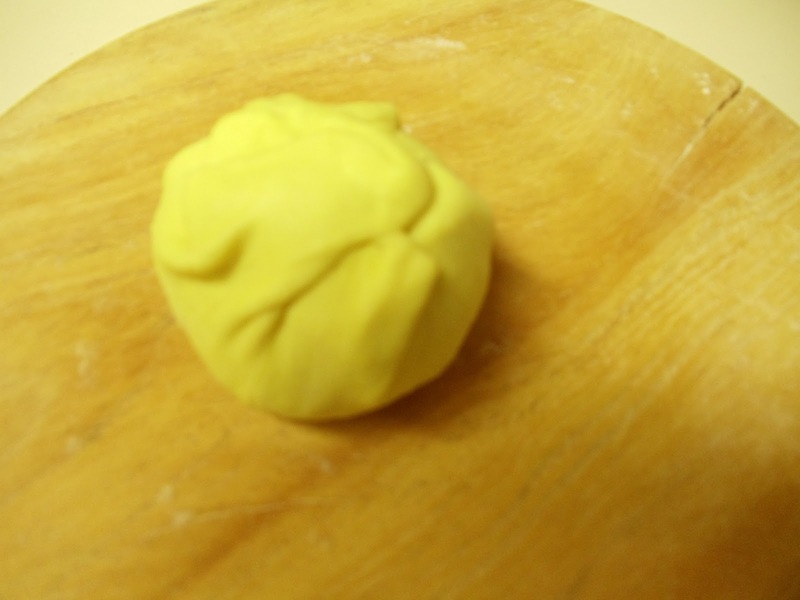 It is very easy to make and doesn't demand special ingredients or skills. My amma used to make this when we were kids. I tried making this for the first time and loved it. The best thing about this is it tastes good even if served cold. 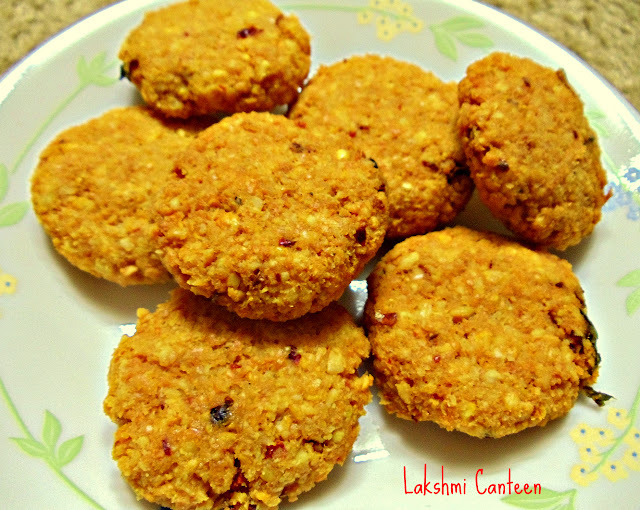 Enjoy making this simple snack. 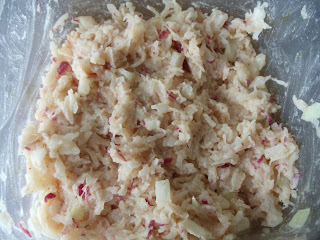 *If using fresh coconut, then you can also add few small pieces of coconut instead of grated coconut. 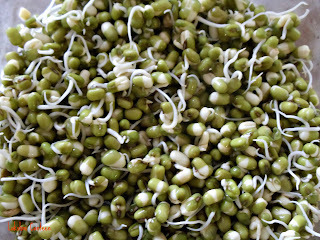 Soak Chana dal in water for two hours. Drain out the water completely. Now grind this coarsely along with dry red chillies and pepper (Don't add water, while grinding. Don't worry, if there are few whole chanadal). 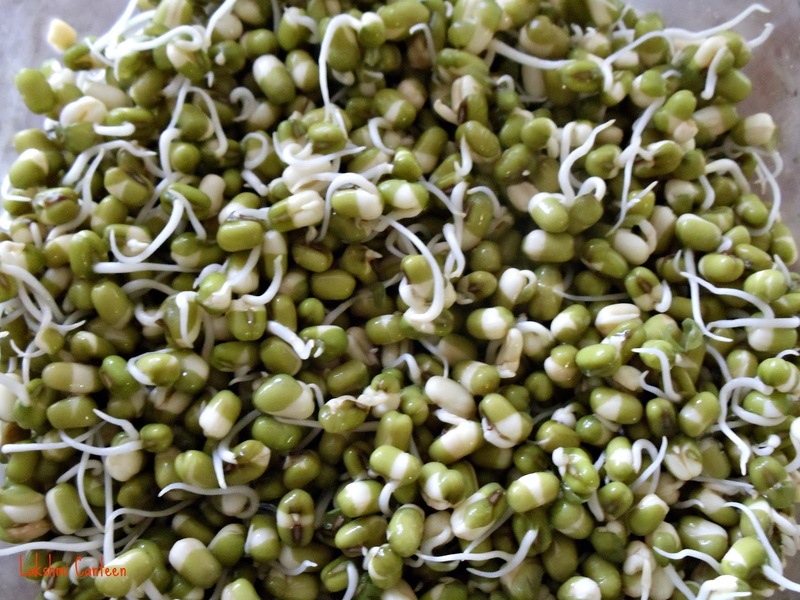 Transfer this into a dry bowl and to this add chopped green chillies, chopped curry leaves, coconut-grated or pieces, asafoetida and salt. Mix well. Mixture is ready. 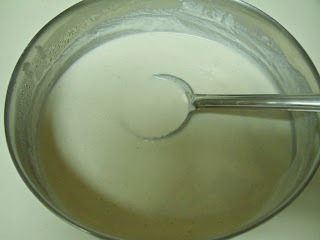 Now divide this mixture into 12 portions (or lesser than this). Now flatten these balls, between the palm to get a flat disc. Repeat this to all the balls of the mixture. Deep fry these discs on a medium-high flame, until they turn light brown and crispy. Drain them on a paper towel. Chattambade is ready!! Serve it hot. Above measurement serves 3-4 people. 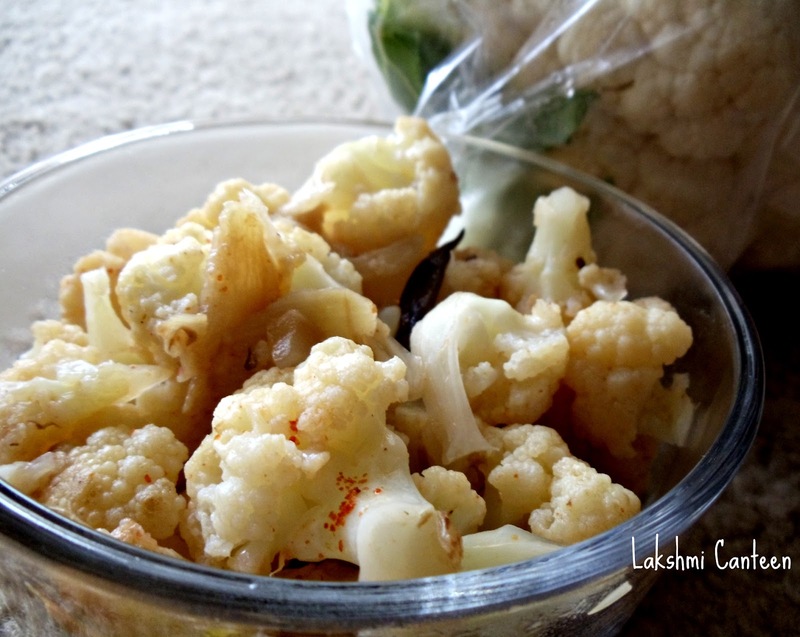 Cauliflower Upkari is a very simple side dish. 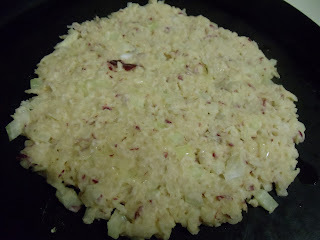 It is very healthy and easy to make. My mother makes this often. Try making this and enjoy! Cut the cauliflower into bite size florets and wash them thoroughly. If it has worms then soak the florets in hot salt water for 10 minutes. Now heat oil in a pan and add oil. 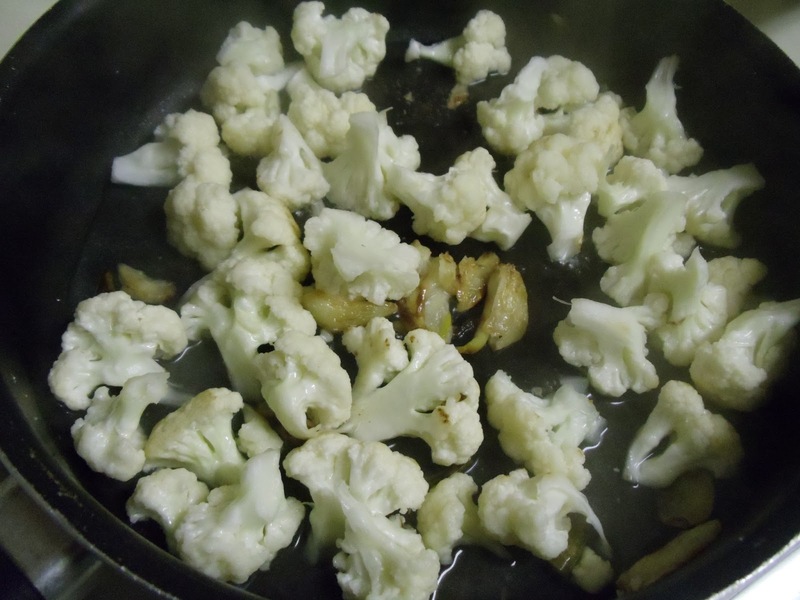 When it gets heated, add crushed garlic and fry until it turns light brown and then add green chillies. Fry it for few seconds and then add the florets. Mix well. Add salt and red chilli powder, to taste. Add very little water and close the lid. Cook it until it turns soft. Turn off the heat. Cauliflower Upkari is ready!! 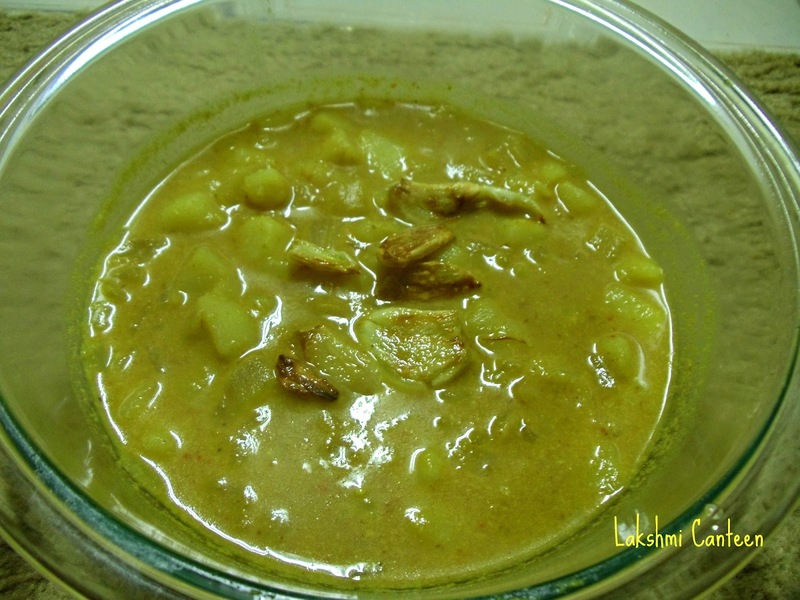 Daalimbe Vatte Kadi is a very healthy konkani dish. 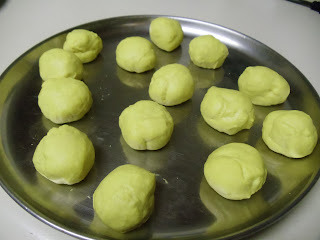 I got this recipe from amma. This is a very old recipe and nowadays people don't make it that often. 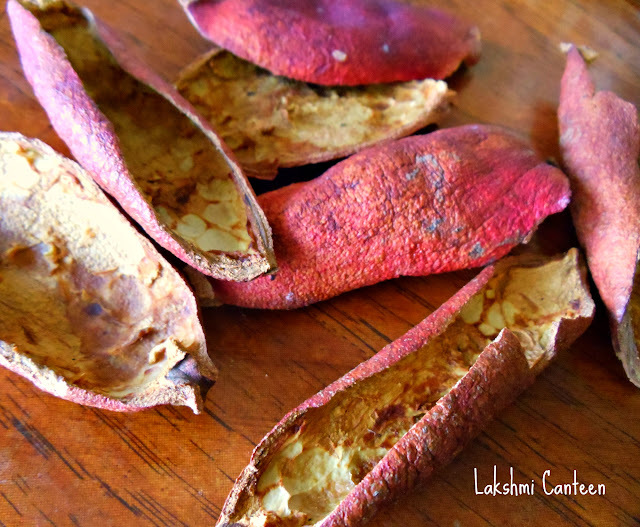 Daalimbe Vatte in konkani means Dried Pomegranate peel. The peels are saved and sun dried for few days and then stored in an air tight container. 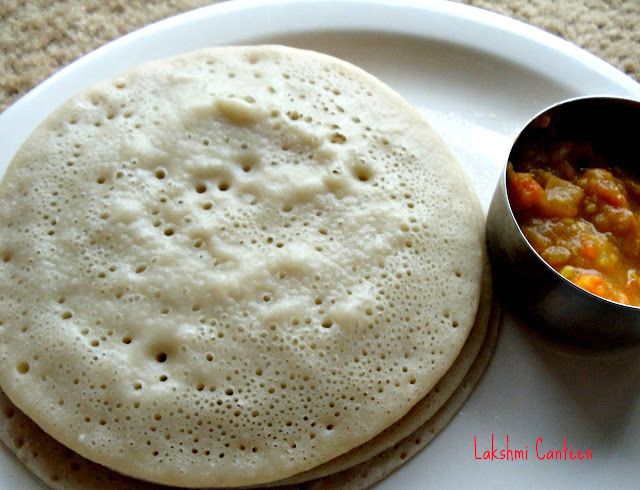 My amma used to make this often. 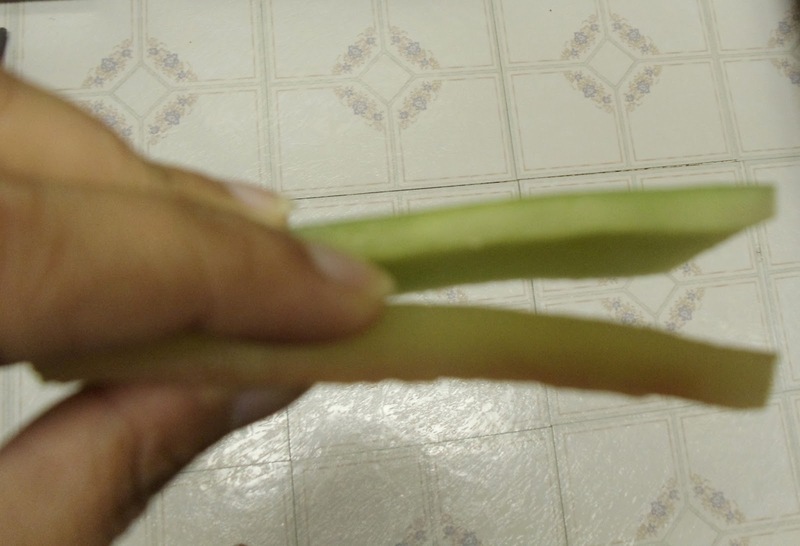 She says that these peels improve digestion. Also the peel is very helpful to children. Few pieces of the dry peel is boiled in diluted milk for 10 minutes on low flame. This milk is then given to the child suffering from Loose motion. I made it for the first time and absolutely loved it. Try making this healthy dish and I am sure you all will love it. So don't forget to save the peel(as well as to dry) and get the goodness of it! Fry the dried pomegranate peel in ghee, until it turns light brown. 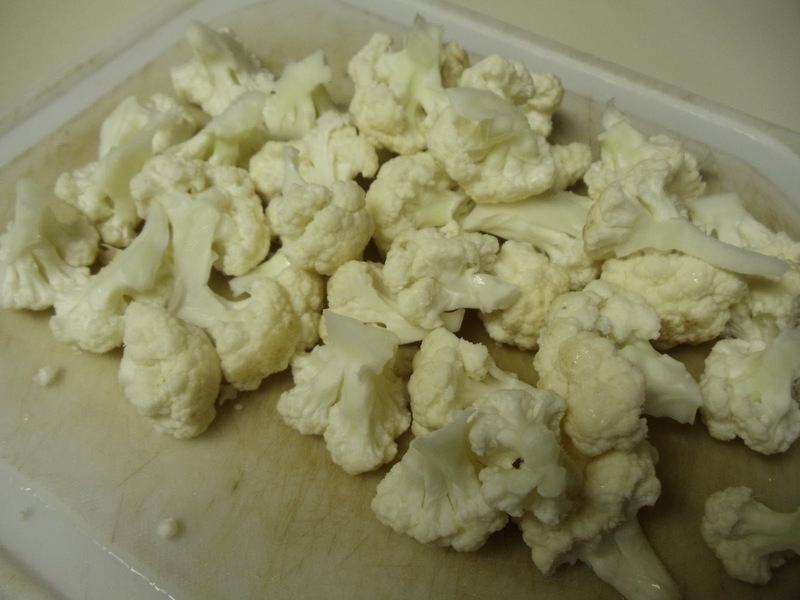 Transfer these pieces on a plate and allow it to cool. Now, in the same left over ghee fry whole pepper and cumin seeeds, until they turn slight brown. Allow them to cool on a plate. For Masala: Grind grated coconut, roasted red chillies, tamarind along with roasted peel, cumin seeds and pepper, to get a smooth paste. Add water as required. 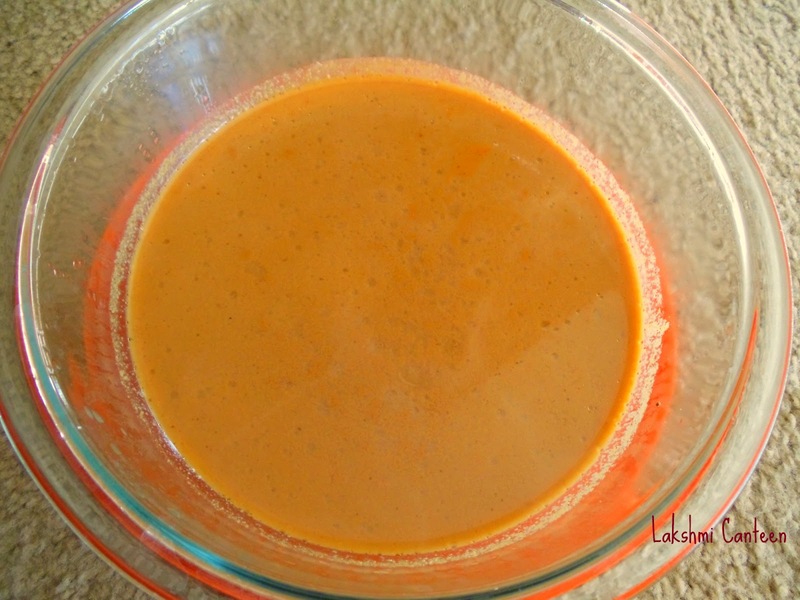 Transfer this ground mixture to a dish and start heating it. Add salt to taste and adjust the consistency, by adding water ( I made it little thinner than the medium thick consistency). 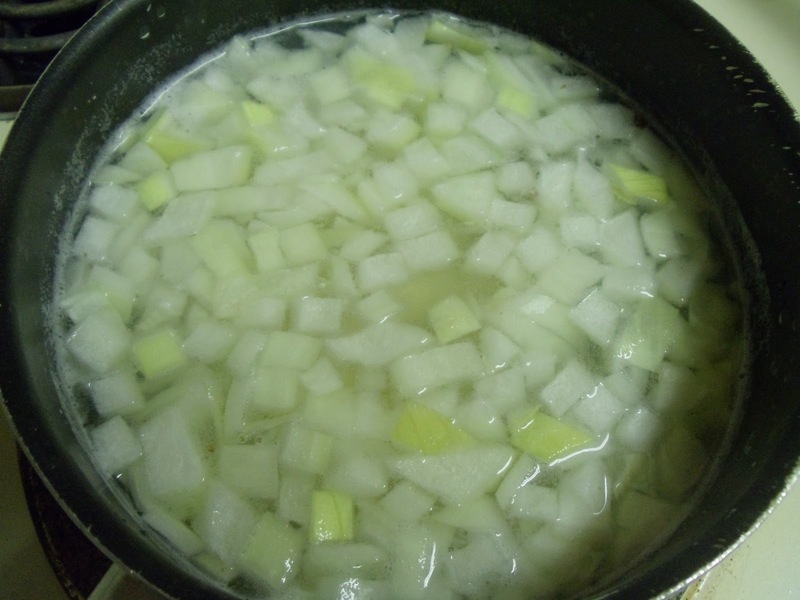 Bring this mixture to a boil and continue heating for 3-4 minutes . Turn off the heat. 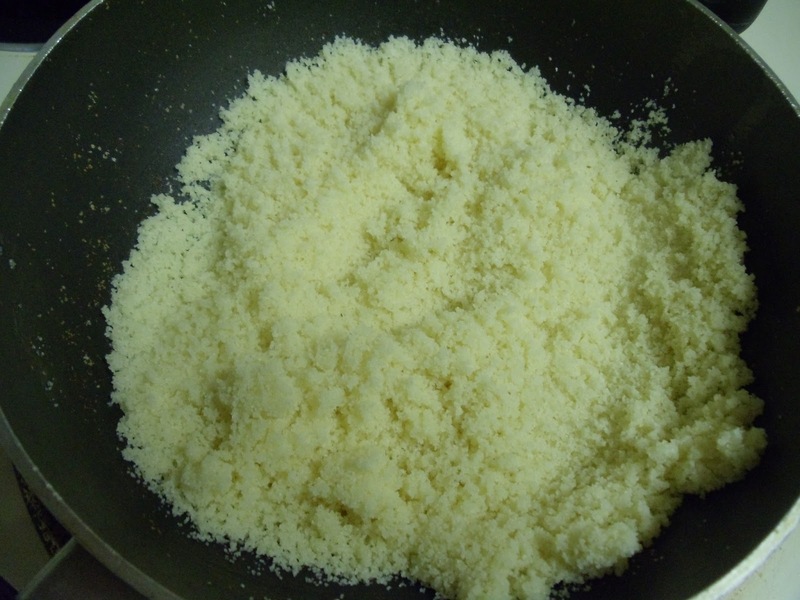 For Seasoning- Heat oil and add crushed garlic. Fry it until it turns golden brown. Add this to the mixture and mix well. Daalimbe Vatte Kadi is ready!! Moolangi Polo is a spicy radish dosa, which goes very well as a side dish to rice. It can be preared within 15-20 minutes. I got this recipe from my Mother-in-law. She makes it often, as it is my father-in-law's favorite. In one of my earlier posts, I had posted Moolangi Ambado. 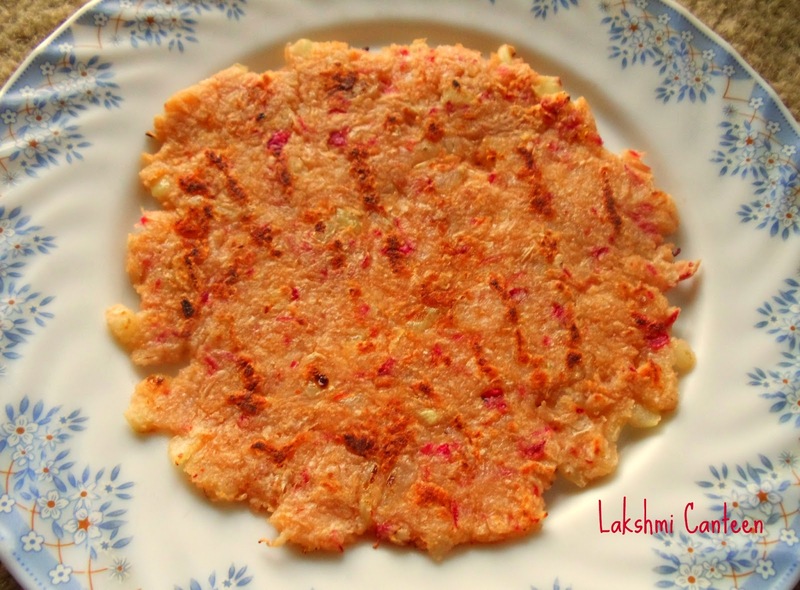 This dosa is very similar to those ambados (fritters). Only variation I did was, the addition of onion. 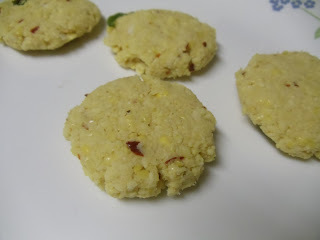 My MIL had mentioned about this recipe long back and hence tried making it. Guess what? It tasted so good. Are you worrying about the smell of the radish? Don't worry, it smells bad only during the time of grating. The dosa has a very mild smell of it. So try making this and enjoy! Add little oil on the dosa, if using. Wait until the lower side of the dosa turns golden brown. Now flip the dosa, so as to fry the other side. Let it remain until it turns golden brown. 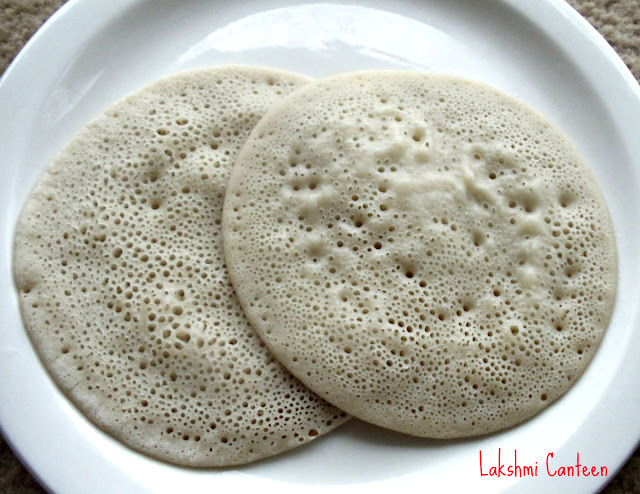 Transfer the dosa to a plate. Moolangi Polo is ready!! Bacchanga salli Polo is a dosa made using watermelon rind (the white part, which is in between the red part and the outer green skin). This dosa has a very soft and spongy texture. In konkani bacchanga and saali means watermelon and peel respectively. This dosa has a similar texture as that of Surnali and Magge Surnali. It had been a long time since I made this dosa. So thought of sharing it with you all. It came out very good and we both loved it. 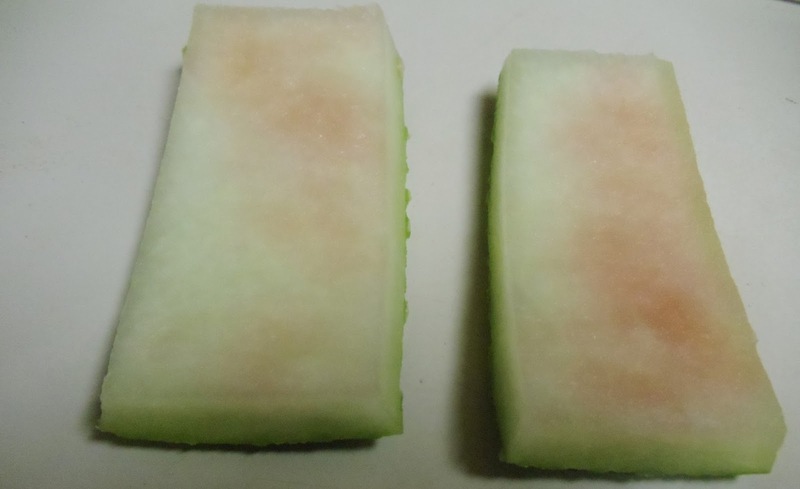 You won't even know that it has watermelon rind! So next time when you get watermelon, don't forget to save the rind of it. Enjoy making this unique dosa. 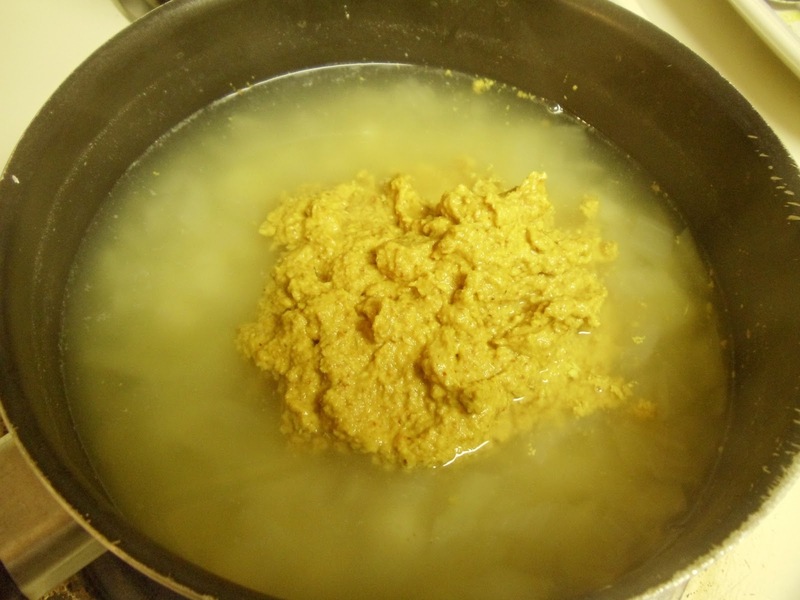 Soak the rice for 2-3 hours along with fenugreek seeds. Now take the base of the watermelon. 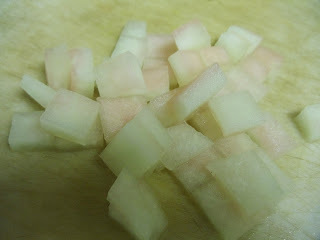 Slice the white part of it and discard the outer green part. Chop the white part into small pieces. Pour a ladel full of batter on the heated pan or tawa. 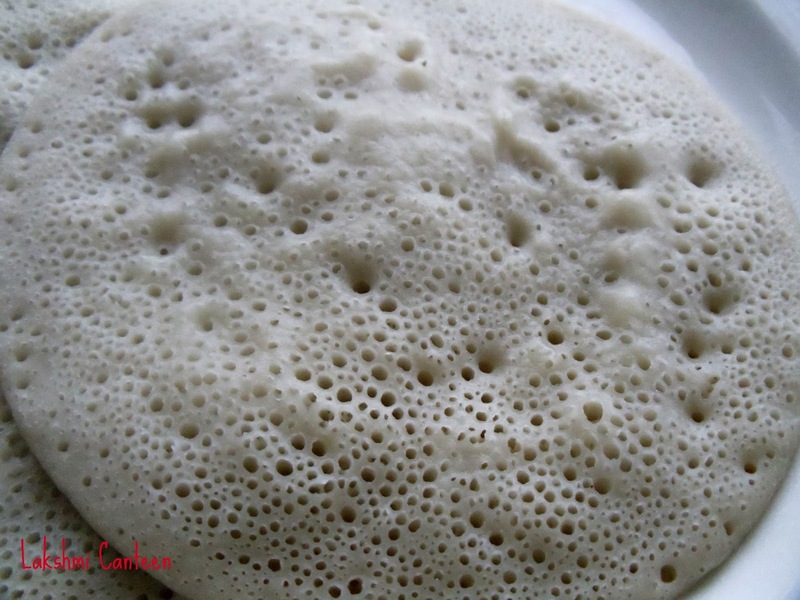 Don't spread the batter, unlike other dosas. Close the lid. Let it cook on a medium flame. 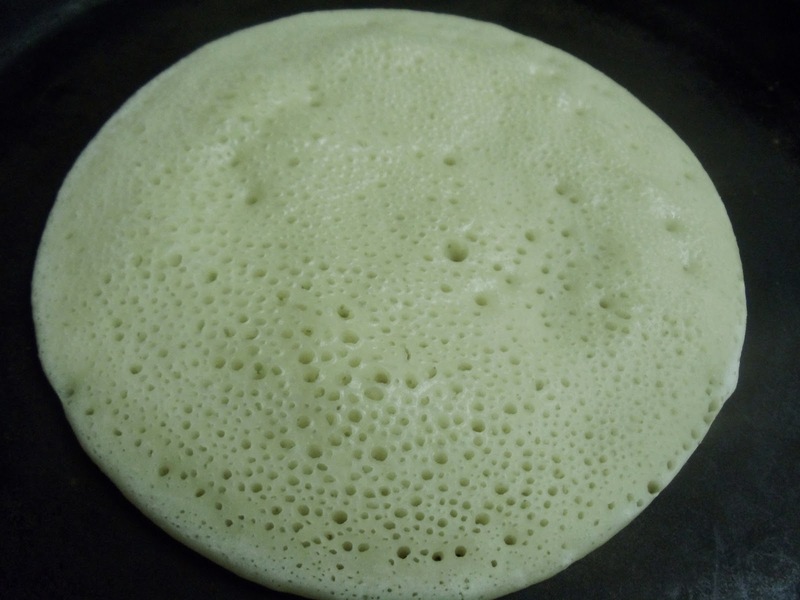 Once it fully cooks, tiny holes can be seen throughout the dosa. Yes it is a good sign (If the holes doesn't form then, the resulting dosa will be very flat and the texture you are looking for, is not got. Hence in such a case, add 1/4-1/2 tsp of baking soda to the batter). Bacchanga Salli Polo is ready!! Serve it hot with coconut chutney or any other curry of your choice. Above measurement serves two people. 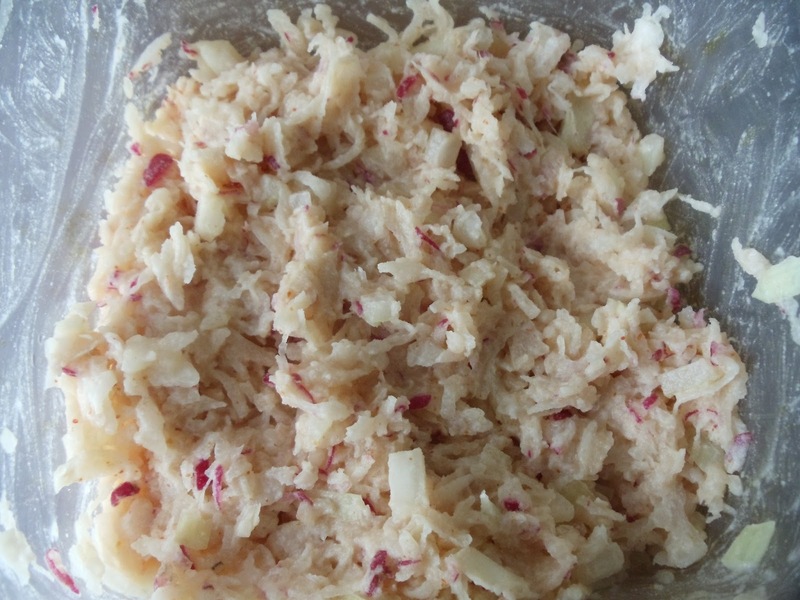 Pathal Baaji is a very tasty side dish. Pathal in konkani means watery. 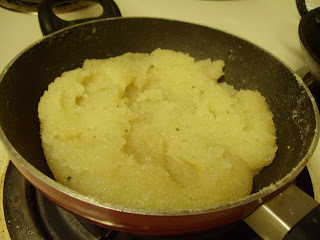 Baaji is nothing but potato mixture. 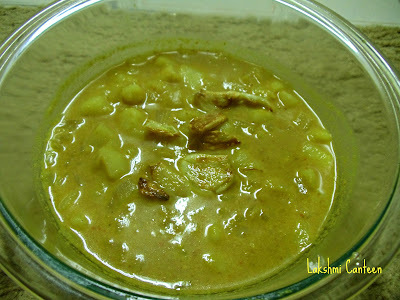 Pathal Baaji has the goodness of roasted coconut along with the spices. The taste is more enhanced by the garlic seasoning. This is one of my favorite side dishes to poori and chapathi. My amma used to make this frequently, when we were kids. She got this recipe from my aunt. This post was in drafts from 2-3 months! So finally I decided to make this along with pooris. I was very much confident of making this curry but not pooris. 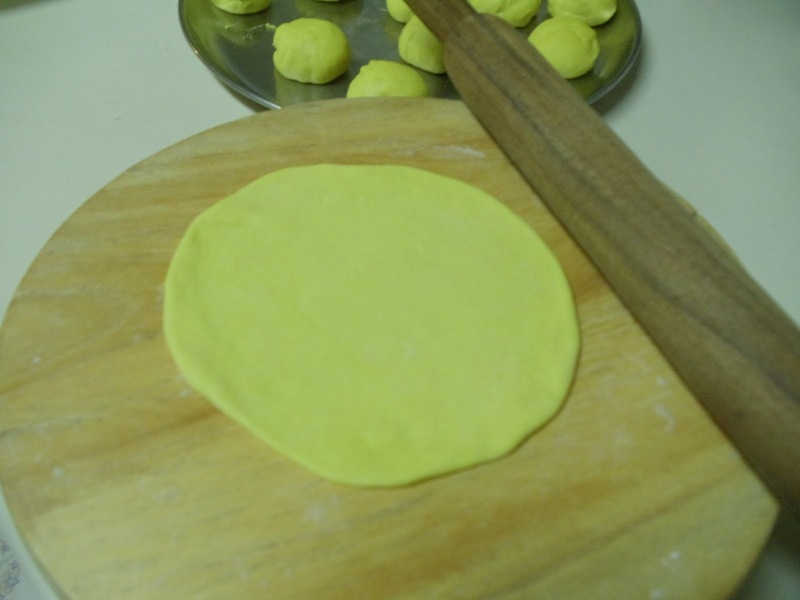 So I saw a video of making poori, to make sure that this time I should not end up making flat pooris. I made the dough as told and rolled them. 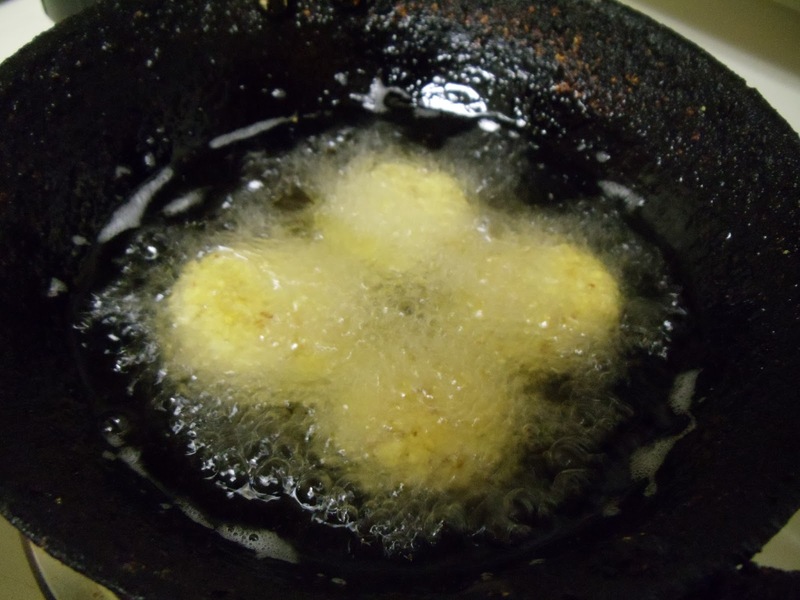 When I started deep frying, the first one went flat. All my enthusiasm came down. I didn't give up. I tried the second one. That too went flat. Then I thought that the rolled pooris might be little large and hence rolled them again and deep fried. Guess what. They came out perfect. My happiness knew no boundaries. 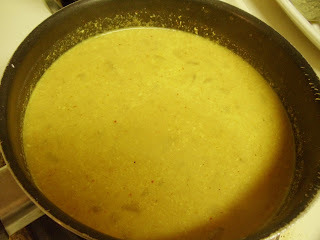 I am celebrating this success, by sharing the recipe of Pathal baaji. Trust me, it is very tasty and I am sure you will love it, especially potato and garlic lovers will enjoy! Wash and peel the potatoes. 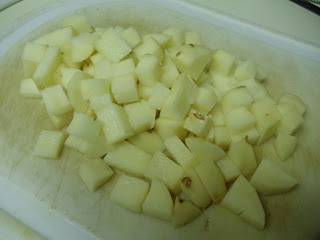 Chop the potatoes into bite size pieces. Chop the onion, similar to potatoes. Take required amount of water in a vessel and start heating it. Add chopped potatoes as well onion to this water. Add salt, to taste. Continue heating until the potatoes and onion pieces are cooked. Cook it covered. While the potatoes are getting cooked, masala can be made. All the spices needs to be roasted but, the frying time for each spice is different. First add 1 tsp of oil in a small pan. When it gets heated, add chana dal. Fry for 1/2 a minute and then add coriander seeds. 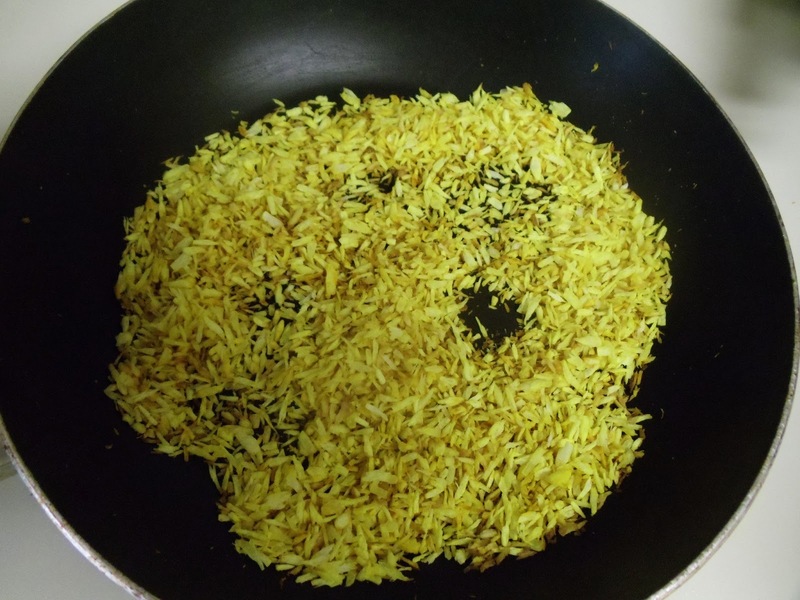 Fry till the two spices turn slight brown in color. 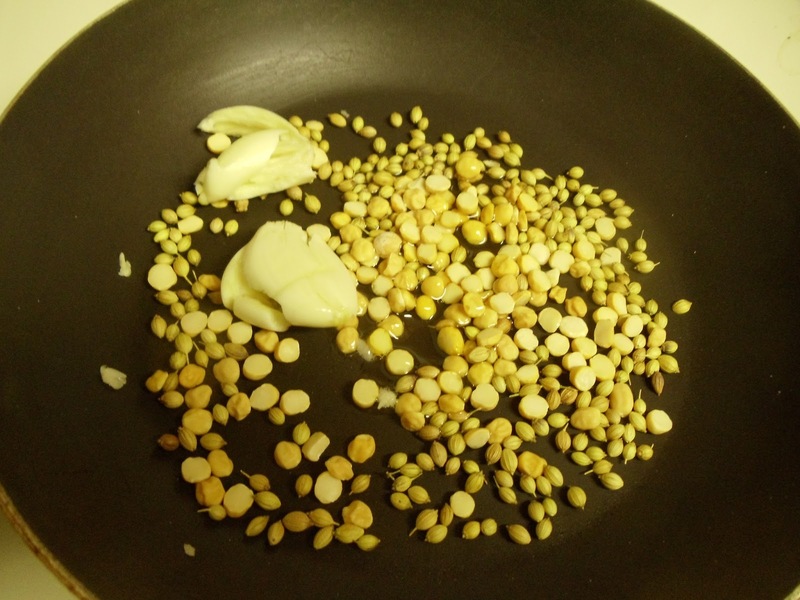 Now add cumin seeds. Fry until everything looks fried. Turn off the heat. Allow these spices to cool on a plate. 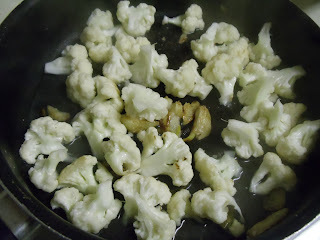 In the same pan fry the crushed garlic pods until they turn golden brown. Transfer fried garlic to a plate, for cooling. Now in the same pan start frying the grated coconut without adding oil. Once it starts turning slight brown, add turmeric powder. Continue frying for half a minute. Turn off the heat. Allow it to cool. Now grind the fried spices, fried coconut, roasted red chilli and tamarind with little amount of water (you should get a fine paste). 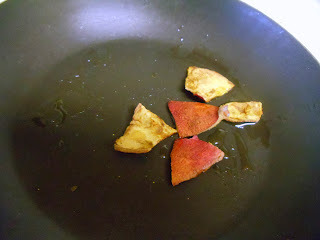 Add this masala to the cooked potato-onion mixture. Add water, if required. 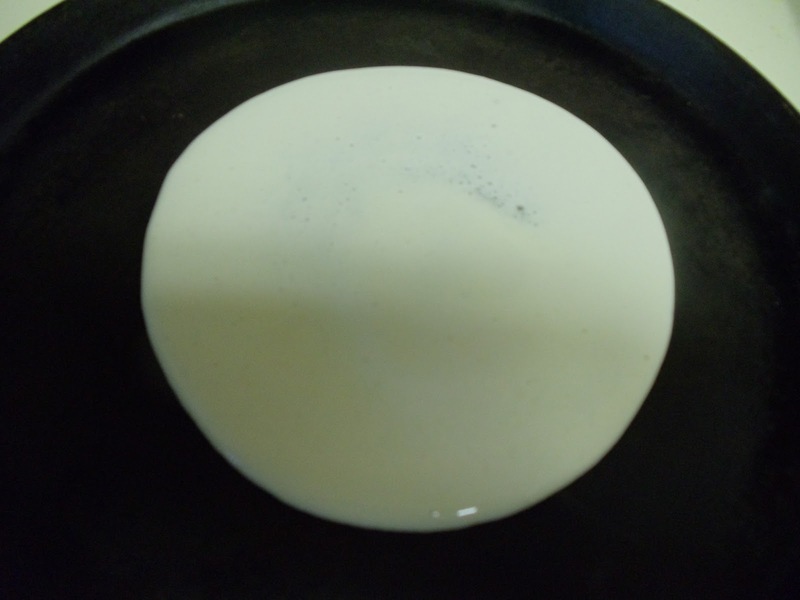 The consistency should be medium thick or little bit watery. Continue heating. Once it comes to boil, continue heating for 3-4 minutes. Turn off the heat. For seasoning- Heat oil. Add the crushed garlic and fry it until it turns golden brown. Turn off the heat and add it to the curry. Mix well. Pathal Baaji is ready!! Serve it hot. 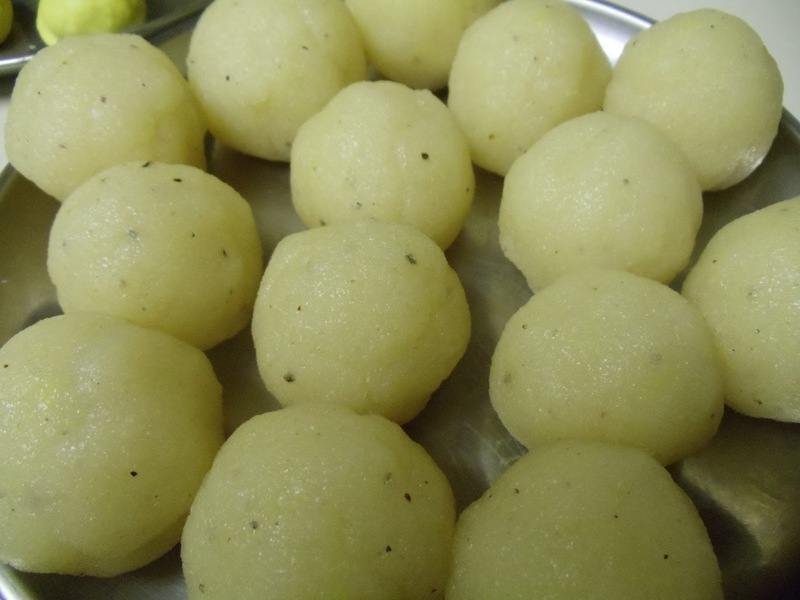 It goes very well with poories, chapathi or even bread/pav. Above measurement serves three people.